Accessing 4G LTE service or connectivity with the Sierra AirCard® 760S mobile hotspot brings enormous potential for mobile workers, travelers, or even families looking to expand their Internet capabilities at home or on the go. 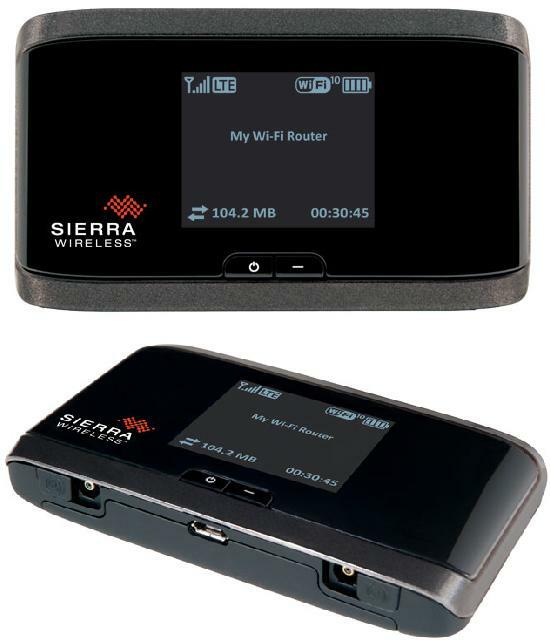 This second generation LTE mobile hotspot from Sierra Wireless is easy to setup in under a minute and can connect up to 10 Wi-Fi devices. In addition, dock it into an AirCard Hub to connect up to 20 devices through Wi-Fi or Ethernet so you can network your devices at home or in a small office. The AirCard 760S is suited for network operators in the Asia-Pacific region. The difference between Sierra 760S AND 762s is that 762s support one more LTE band(frequency )800Mhz. And the other features are completely the same. It mains depend on the market they are launched for. Connect to the fastest network available (LTE/Dual-Carrier HSPA+). Share 4G LTE with 10 Wi-Fi enabled devices + one tethered. Easy device management with the LCD screen. Network the office or home with the AirCard Hub. Convenient hotspot management with your tablet or smartphone. Minimize support with a dependable device that’s easy for staff to setup and use. Share 4G LTE with clients, colleagues, and family when at the office or on the road. Connect up to 10 Wi-Fi devices at home or in the office. Expand networking capability with the AirCard Hub. Improve productivity with quick setup and connection. Manage your device and monthly data use with the LCD display or AirCard Watcher App.